The Mini-Mental State Exam (MMSE) is a brief, structured test of mental status that takes about 10 minutes to complete. Introduced by Marshall Folstein and others in 1975, the MMSE is the most commonly used test to assess problems with ​memory and other cognitive functions. Learn what the test involves, as well as how to score it and how accurate it is in identifying dementia. Scores on the MMSE range from 0 to 30, with scores of 25 or higher being traditionally considered normal. Scores less than 10 generally indicate severe impairment, while scores between 10 and 19 indicate moderate dementia. People with early-stage Alzheimer's disease tend to score in the 19 to 24 range. However, scores may need to be adjusted or interpreted differently to account for a person's age, education, and race/ethnicity. Scores typically decline with advancing age and increase with higher educational level. It's possible to achieve a very high score but still have significant cognitive deficits, especially in areas such as executive functioning that the MMSE is not designed to assess. There are two primary uses of the MMSE. First, it is a widely used, validated, and reliable method of screening for Alzheimer's disease. As a screening test, however, it is not meant to substitute for a thorough diagnostic workup. Sensitivity and specificity of the MMSE, key properties of every screening test, are reasonably good. Sensitivity refers to the test's accuracy in identifying individuals with the disease (i.e., persons with Alzheimer's test as positive). Specificity refers to the test's effectiveness in identifying people who do not have the disease (i.e., persons without the disease test as negative). The second important use of the MMSE is as a means of evaluating cognitive changes in an individual over time. Periodic testing with the MMSE can help assess a person's response to treatment, which can help in guiding future treatment. Typically, an Alzheimer's patient's MMSE score declines by 3-4 points per year without treatment. In 2010, the MMSE 2 was published. It includes many of the same tasks as the MMSE but updates a few of the original tasks to improve accuracy and ease of translation into other languages. In addition to the advantages already mentioned, the MMSE has been translated into many languages and has even been adapted for use by visually-impaired persons. Disadvantages include the need to adjust scores for age, education, and ethnicity, as well as potential copyright issues. While originally the MMSE was widely distributed for free, the current official version must be ordered through the copyright owner since 2001, Psychological Assessment Resources. The MMSE is one of the most commonly used screening tests to evaluate cognitive functioning. 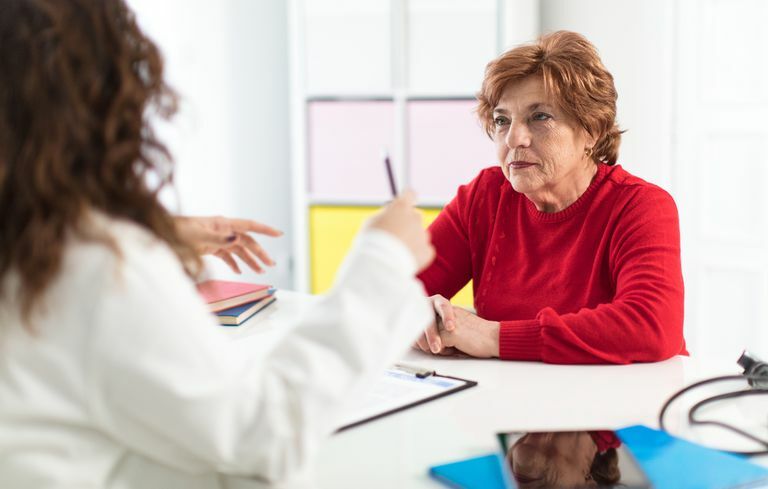 If you receive results from this test that concern you, don't hesitate to ask your physician questions about what they mean, as well as if they have evaluated for any possible reversible causes of dementia. Finally, the MMSE should be combined with several other screening and medical tests if it is being used to diagnose dementia. Pradier C, Sakarovitch C, Le Duff F, Layese R, Metelkina A, Anthony S, et al. (2014) The Mini Mental State Examination at the Time of Alzheimer's Disease and Related Disorders Diagnosis, According to Age, Education, Gender and Place of Residence: A Cross-Sectional Study among the French National Alzheimer Database. PLoS ONE 9(8): e103630. Psychological Assessment Resources. MMSE-2. Mini-Mental State Exam- 2nd Edition.